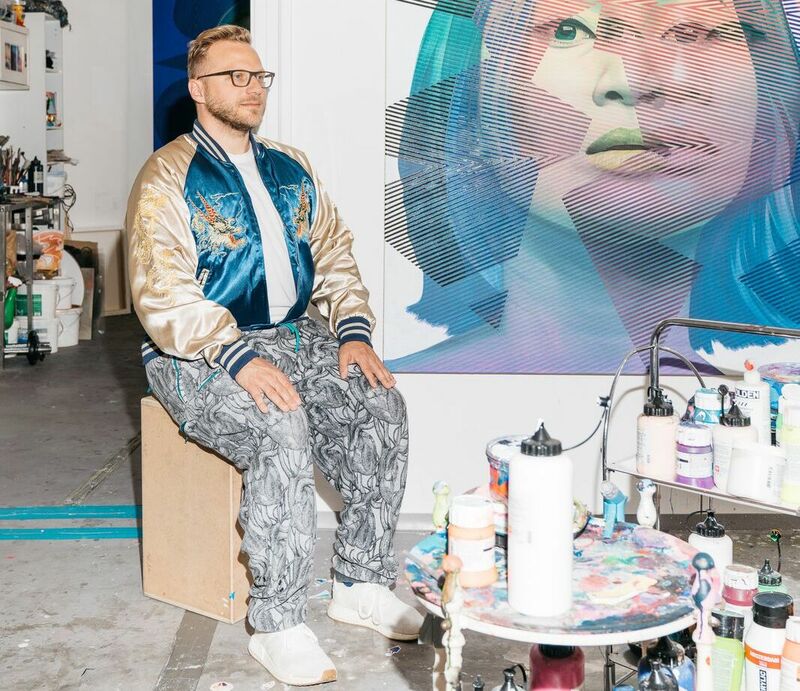 Artist Alex Kiessling in his Third District home and studio, where he produces ultra-modern pieces using technology like 3D printers and lasers. Austrians have an obsession with the cycle of life and death, though their cultural contributions are anything but moribund. 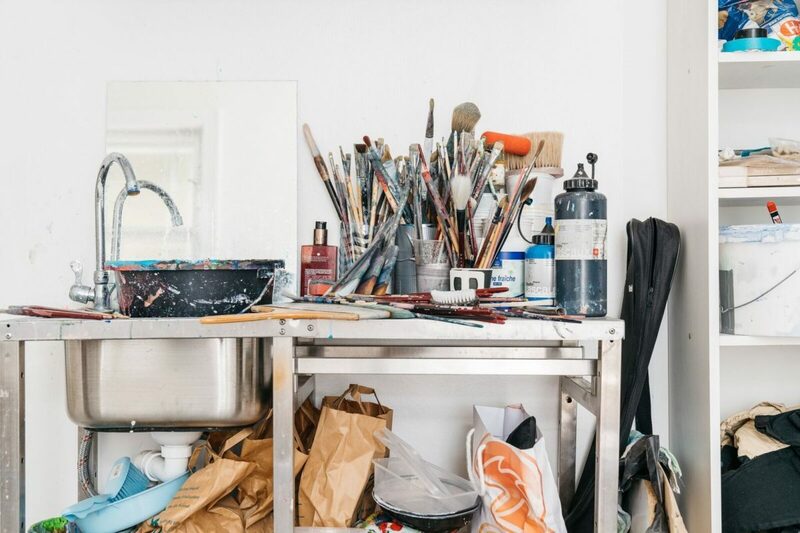 In Vienna, new visual artists follow in the footsteps of giants like Klimt and Schiele, adding their own modern twists in the process. A century ago, four of Austria’s seminal artists—painters Gustav Klimt and Egon Schiele, architect Otto Wagner, and artist Koloman Moser—died in the same year. Together, they had collectively ignited the blaze of creativity known as Viennese Modernism, and throughout 2018, Vienna is hosting “Beauty and the Abyss,” a series of special exhibitions that celebrates these trailblazers. Commemorating such an anniversary is not unusual in a place like Vienna. According to Ivan Ristić, curator at the Leopold in Vienna’s MuseumsQuartier, Austrian artists have a unique obsession with life and death: “Celebrating death, enjoying it in a very peculiar way, acknowledging its close relationship with life—the threat to the joy,” Ristić says. “Thinking about death is very typical Viennese stuff.” Among the most important works in the museum’s permanent collection is Klimt’s Death and Life, which took the better part of a decade to complete; he eventually finished it in 1915. Viewing this allegorical masterpiece, one is forced to confront the beginning and the end. One hundred years later, it’s a subject that still consumes present-day Viennese artists. “In our lifetimes, we attempt to interpret the meaning of death, and that comes through in some of my earlier work,” says multimedia artist Alex Kiessling, 38. His bright, provocative, and ultra-modern works play on this theme by using both old and new technologies. 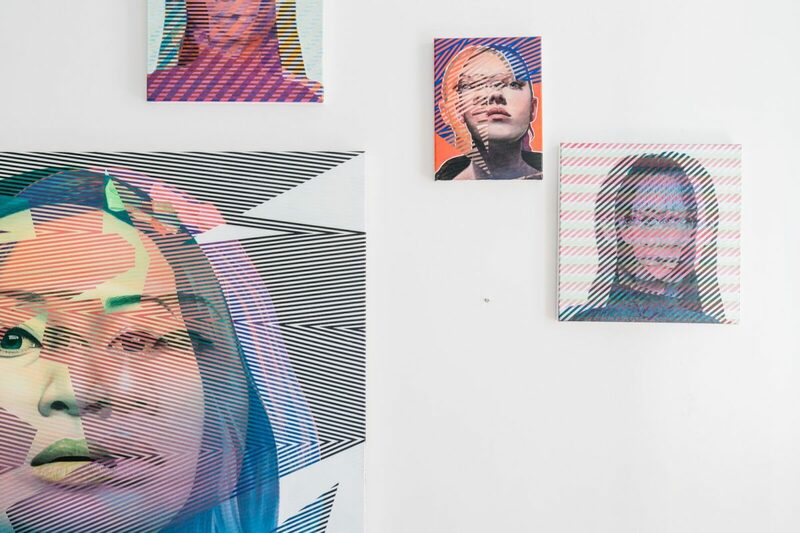 His most recent series, “Shift,” is a portraiture study using a process that involves three overlapping paintings—they look digitally enhanced, but were all created by hand: a play on fine art and technology. In 2013, Kiessling lit up Vienna’s modern art world with the assistance of new technology that neither Wagner nor Moser could have ever anticipated. Using infrared sensors to trace the movements of his pen and satellites to transmit a signal from Vienna, industrial robots simultaneously reproduced his drawings in London and Berlin. 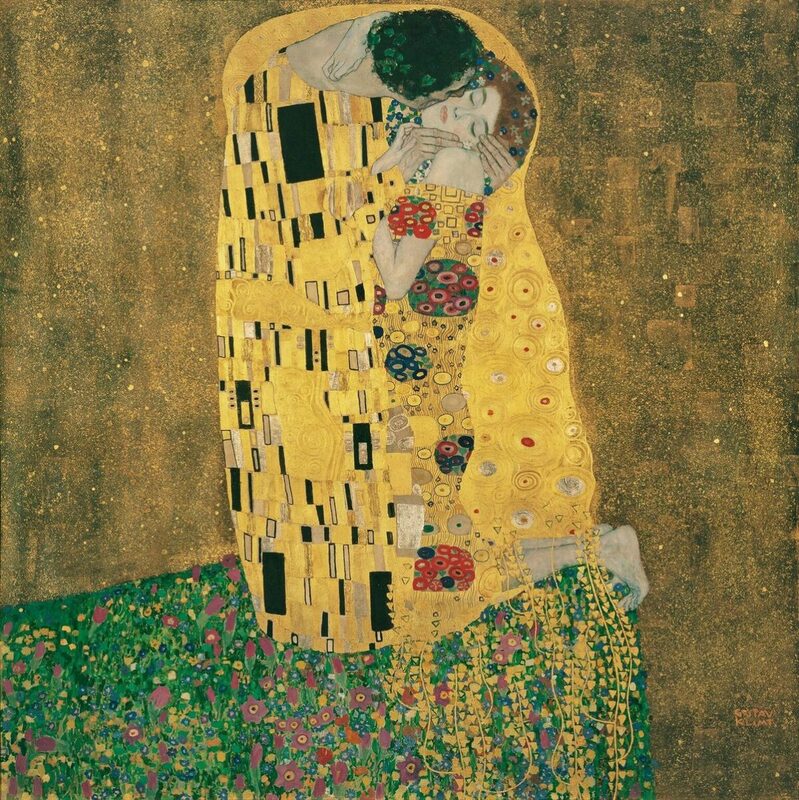 Gustav Klimt’s The Kiss is on permanent display at the Belvedere Museum located on the southeastern edge of Vienna's city center. Courtesy of the Belvedere Museum. His work is already impacting pop culture: commissions include album covers for Swiss pop star DJ Antoine and Austrian indie band Konea Ra. This past spring, Kiessling participated in an art project to benefit After-School All-Stars in Los Angeles, a nonprofit organization founded by movie star and former governor of California Arnold Schwarzenegger.